Foto di una penna della Parker. Modello: Duovac. Caricamento vacumatic. Realizzazione in celluloide a strisce blu/grigie. Misura media, con marcatura blue diamond. 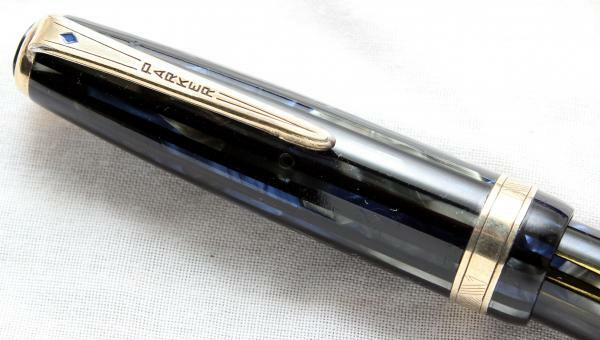 Photo of a pen produced by Parker. Model: Duovac. Filling system: vacumatic filler. In blue/gray striped celluloid. Medium size, with blue diamond mark. This page was last edited on 27 January 2017, at 01:32.